The latest high-end mobile phone from Korean firm Pantech adds to the increasingly crowded touch-screen mobile market occupied by the Prada phone and the imminent iPhone, but does so with a different approach. 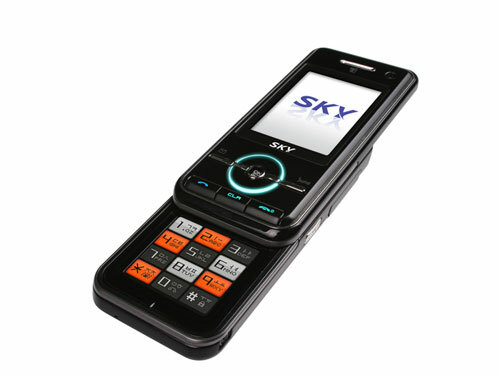 The 500,000 won IM-R200 will be available this month in Korea, running on CDMA 1x networks there with the main selling point being its touch-sensitive screen with vibrating feedback. Sitting in place of a normal keypad, the 1.6in screen is contextual, displaying track listings when music is playing or changing to buttons when touched, for example. In addition, any virtual keys vibrate to give a sensory indication of having performed an action. Otherwise, the main screen is a normal 2in LCD and there are twin 2-megapixel and VGA cameras, each of which can recognise faces and adjust camera modes accordingly. Weight is a reasonable 104g and the usual music-playback and document-viewing software are present and correct.